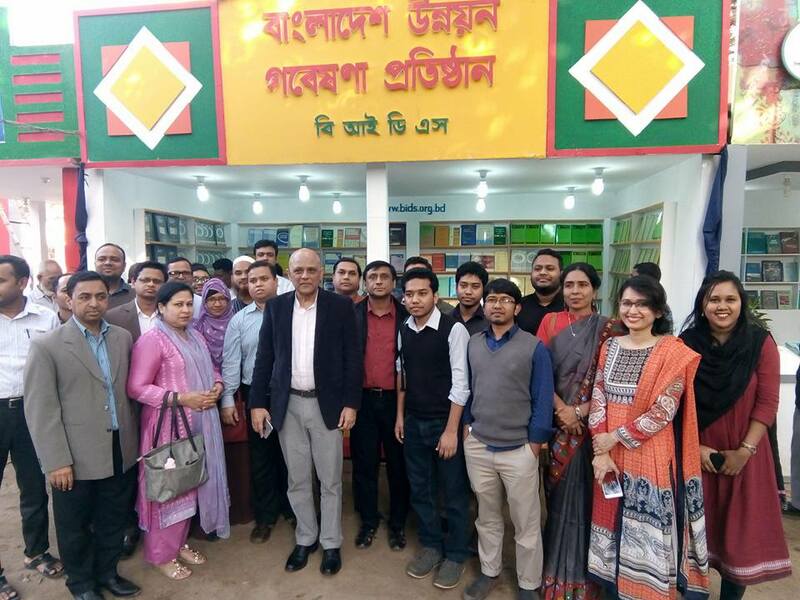 BIDS has set up a bookstall in the Bangla Academy premises this year as well as part of the annual “boi-mela” held in commemoration of the martyrs of the language movement of 1952. The mela draws a large number of book lovers, academics, poets, novelists and writers along with students and members of the general public. This is an occasion for BIDS to build stronger links with the broader community by making our publications accessible to all. Dr. KAS Murshid, Director General, BIDS has officially inaugurated the BIDS stall in the afternoon of 6 February, 2018, where the researchers and staffs of the institute participated.